When ex-Noma chef Simon Martin, announced he was returning home from the multiple "best restaurant in the world" in Copenhagen, to open a fine dining restaurant in the hipster and student hangout of Ancoats, it would be an understatement to say that he raised an eyebrow or two in Manchester's hospitality circles - not least for the fact the kitchen alone cost £300,000. 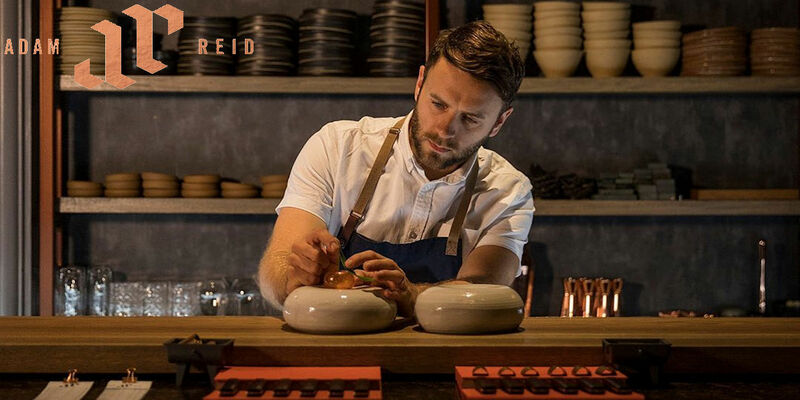 For that money, he has delivered the most immersive gastronomic experience in Manchester, with the chefs literally working alongside diners in the stunning open plan, table height, stone surfaced kitchen, which boasts one of the city's few Robata grills. Whilst the minimalist decor may have been drawn up by James Roberts Design of Cheshire, it owes more to Martin's adopted Copenhagen than Chester. 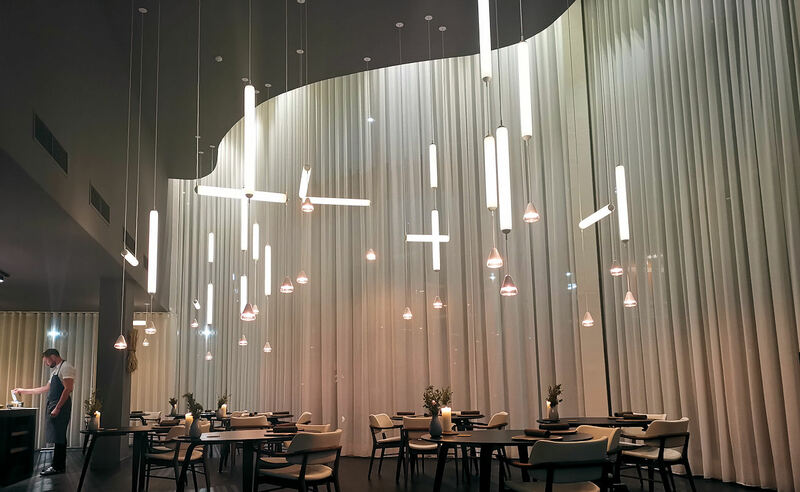 The lights hang down like long icicles from such a height, they give the room an almost cathedral like feel, whilst tall white curtains offer privacy from the wave shaped windows, contrasting the beautiful dark wood floor. The handsome chairs and tables have Hans Wegner influences all over them, and I wouldn't be surprised to learn if any of the plates or teapots had been bought at René Redzepi's auction, when he closed the original Noma. The glassware is equally stunning, with each wine glass hand cut especially for Mana; making the waiter's job all that bit more nervy. There's no expense spared in this kit out and, with just 28 seats, the business plan surely depends on a fully booked diary. 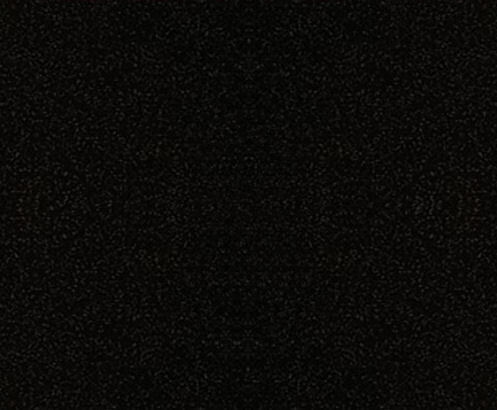 If, like us, you suffer with information overload and like to know what you're eating as you go along, then you will need to print the menu off in advance, as it's one of those places that presents you with the card as you leave, rather than when you arrive. We have visited Mana four times now - which should have helped them pay back some of their kit out - and, within that time, it has been interesting to see them adapt to Mancunian expectations, with a variety of lower price offerings introduced, and up front payments dropped. At the time of writing, they have now just announced a weekend lunch, at half the price. There have also been improvements made to the food offering with more generous servings of seafood and meat than when they first opened, whilst the mark-up on the wines is certainly generous. Whenever you speak to anybody about Mana, and ask them for their thoughts - casual diners or well travelled foodies alike - the first thing they normally reply, before there's any mention of the quality of food, is just how expensive it is. In fairness, many of these people possibly visited in its early days, when £95 for a heavily veg-centric offering was hard to justify. It's unlikely that any of these diners have returned, let alone as often as we have, however we can confirm that the menu has adapted accordingly. You could also argue that £105 is still good value for a Michelin Star restaurant - and Mana is certainly that level, even if the inspectors haven't yet been. On the flip side; whilst the wines are of excellent value for the vineyards on offer, there are only nine available by the glass, with the cheapest bottle coming in at a hefty £32 (Domaine Bouché, Etre à L'Ouest). For the £70 pairing, you also get quality over quantity, with little more than three quarters of a bottle served. The restaurant's design lends itself to an immersive experience and, like at Noma, the kitchen team are as much a part of your meal as the food. All fourteen chefs, led by Simon Martin himself, take it in turn to deliver and present a dish, stopping long enough to have a friendly conversation or answer questions. The sommelier, Sam, remained the only constant waiter throughout, and Mana seem to have found a gem in this affable Mancunian. His pairings were as well chosen as his attentiveness, whilst his knowledge and detail of each of the small family-owned vineyards offered was equally impressive. 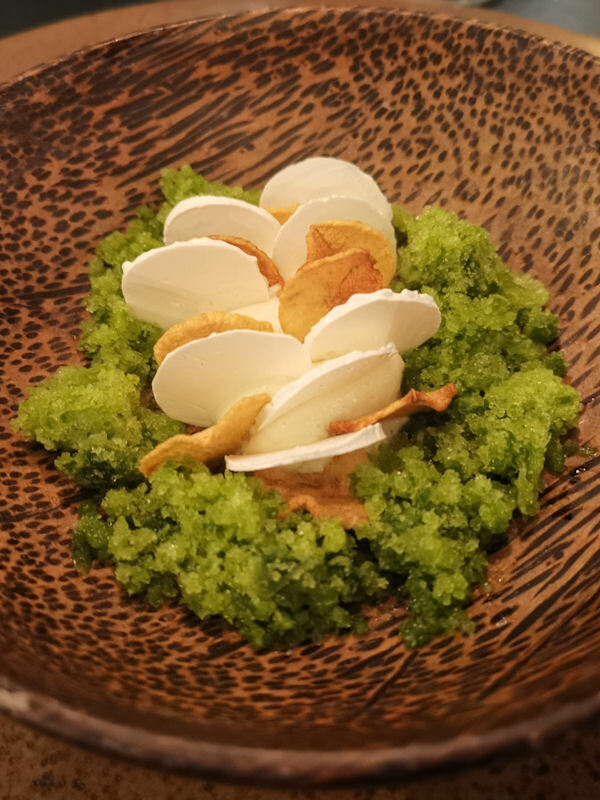 On the last three of our four visits, Mana scored an incredible 25/25 for service on our pretty tough scorecard (only three other restaurants have ever achieved that level - Michael Caines, The French and Manchester House). In fact, the only issue we encountered, dated back to their first few weeks of opening, when they were still in the bedding in period; a dish, intended to be eaten by hand, was served without additional servettes, handwipes or water. 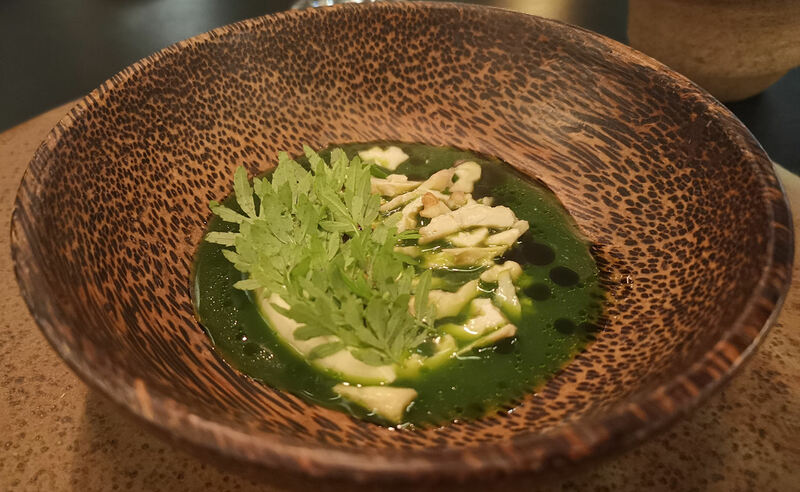 For a chef with a pedigree of having worked at 2 and 3 Star Michelin restaurants under René Redzepi and Gordon Ramsay, it is no surprise that Mana is serving technically the best food in Manchester. The moniker of "Manchester's Noma" may have been applied due to Simon Martin's most recent background, if not its name or, even, - for those in the know - some pretty obvious adaptations, however the techniques he has learnt from "the best chef in the world", are very much apparent, as is his skill of schooling and encouraging his kitchen staff, of which he is very much a team member. 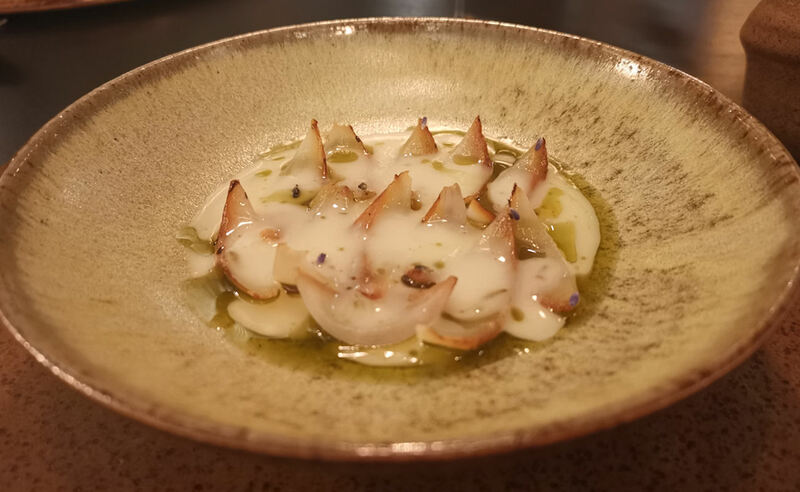 Whilst the menu represents the best produce the British Isles have to offer, the Nordic influences shine through, especially the seafood emphasis, and it has been interesting to see how dishes have been adapted or added over our four visits. There still hasn't been a bad one amongst them! 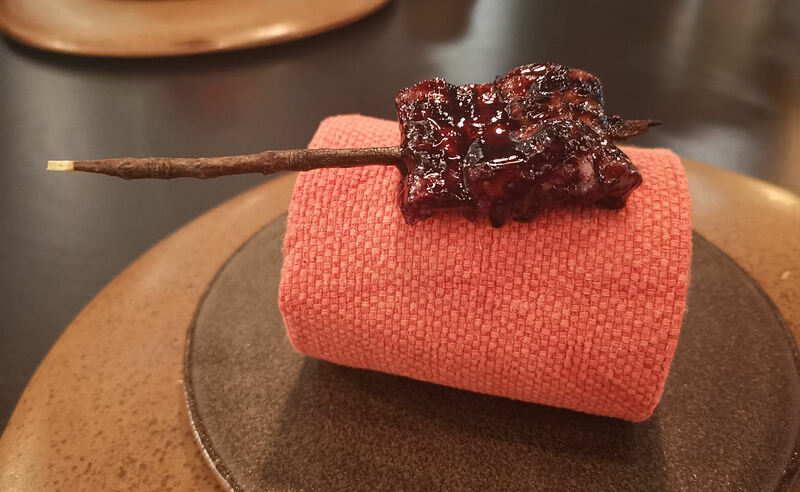 Absolutely cooked to perfection, the Yakitori Roasted Yeast & Blueberry Eel has remained throughout, as has the Jersey Cow Curd and Lovage; an other delightful dish. 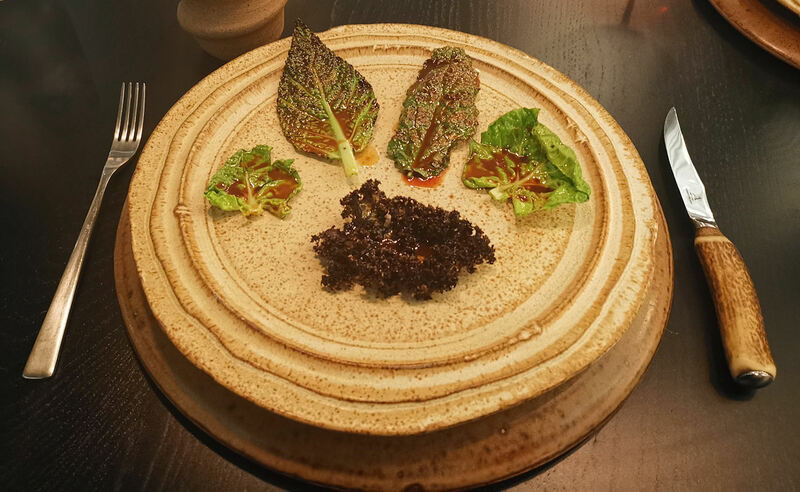 Barbequed greens, glazed with dehydrated scallops and beeswax, and ironically served with a huge stag antler steak knife, leave even the most meat hungry carnivores scratching their heads and questioning how on Earth it could possibly be their favourite dish. 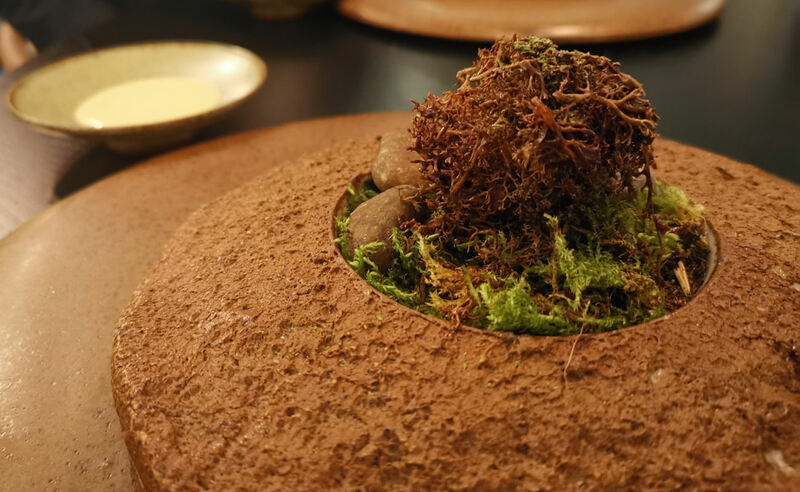 The foraged Scottish Reindeer Moss, having moved around the menu before finding its place as a chocolate covered dessert, is one of a few perfectly executed favourites to have made their way from Christianshavn to Ancoats. Despite all the wonderful dishes, let alone the technical nature of their creation, the highlight for many diners, though, is the phenomenal sour dough bread, served with a marvellous creamy butter, flown in especially from Sweden, where it is made by a 90 year old lady, called Gita. Other than the wines, it appears to be the only non-British ingredient on the whole menu. Desserts, whilst probably technically impressive, are the least memorable part of the meal. A bowl of berries will always seem like an anti-climax, after what came before, no matter how tasty and cleverly constructed the blob of accompanying plum kernel cream. On all four of our visits, and somewhat inexcusably, there was no vegetarian menu, nor could seafood allergies be catered for. 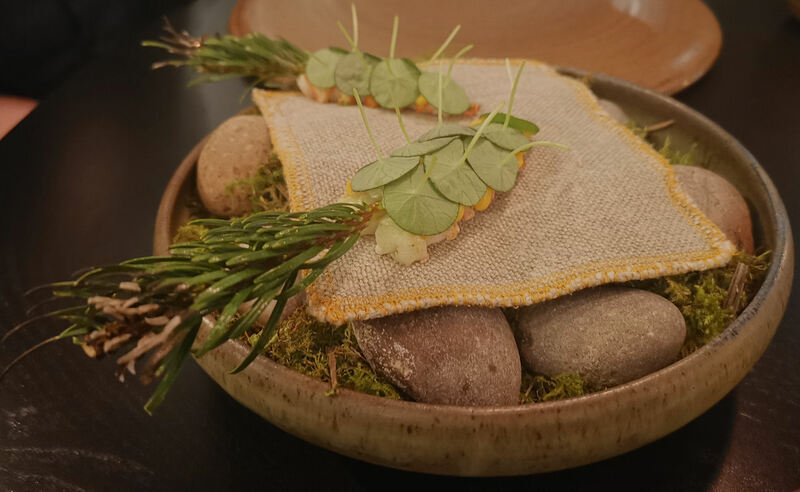 Fortunately, five months into service (March 2019), Mana have just introduced a Vegetarian Tasting Menu, which pretty closely resembles their normal offering. 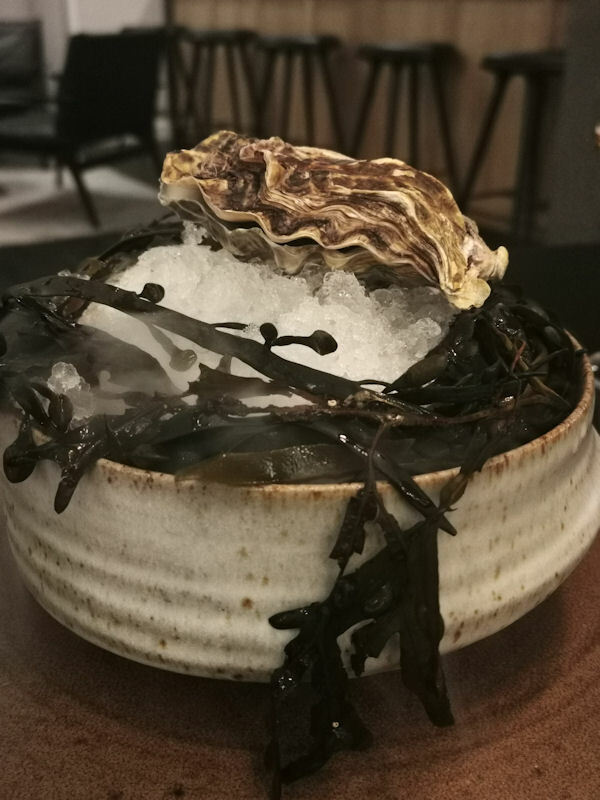 Technically the best restaurant in Manchester, and - on all four of our visits - consistently better than many Michelin Star restaurants we have reviewed in the UK and Europe. 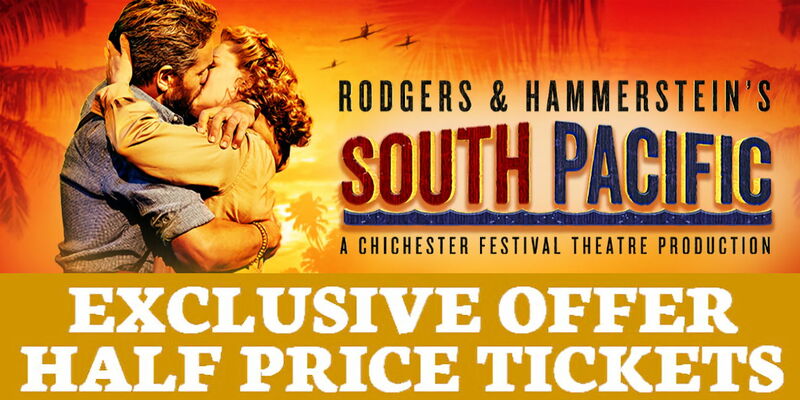 At £105 for food and £70 for matching wines, you will need deep pockets for the full experience. 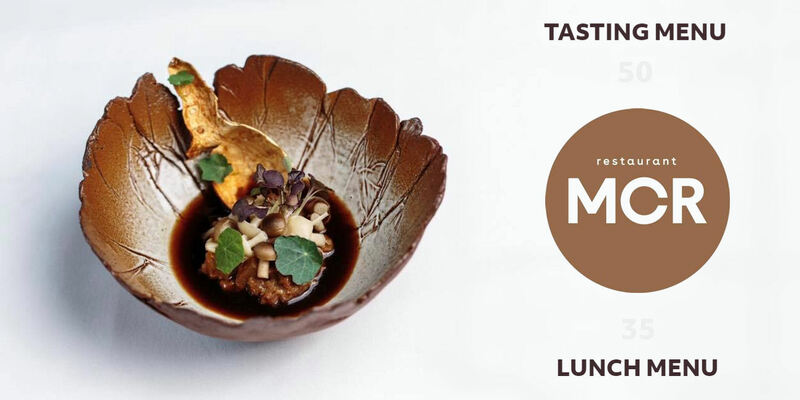 Although, from March 2019, there's now a £50 weekend lunch menu. 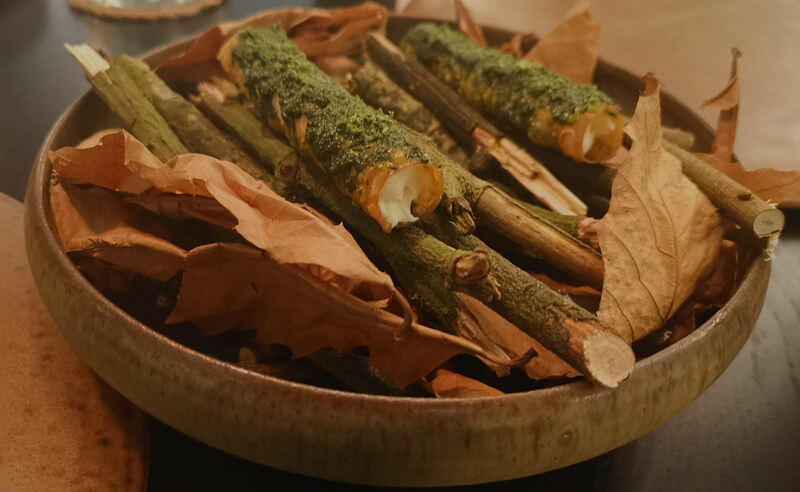 Whilst the menu, with its foraged ingredients and locally sourced produce, goes to show that restaurants can adapt to a post-Brexit Britain, it's not yet clear if the price point can survive a post-Brexit economy.